Order fulfillment can be a major challenge for an online store owner. It involves multiple aspects, including the management of your warehouse, orders, packaging, shipping and delivery. Based on your business model, you can outsource some or all these aspects in eCommerce. This can be an opportunity and a challenge at the same time. You need to carefully consider and decide on your business model before looking out for fulfillment solutions. That is because you will find fundamentally different business approaches in different solutions. 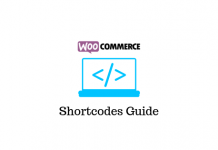 In this article, we will discuss some of the solutions that will help with your WooCommerce order fulfillment process. We will be primarily focusing on the options that you may need for self fulfillment. However, we will also discuss some of the other fulfillment models such as dropshipping and third party logistics. In the self fulfillment process, you are more or less on your own. You own the products you are selling. Sometimes you might be even manufacturing them. You will also have the responsibility of managing them in a warehouse, packing them according to order and ship to customers. You will also have to deal with returns and refunds as well. The main advantage here is the control that it offers. You are not dependent on another entity for any of the fulfillment needs. You sell products to customers, study the sales pattern, market them more efficiently, stock more, and grow your returns. It is a straightforward option, and might be even manageable at a smaller startup phase. However as the volume of sales increases, you might want to invest in more resources to contain the increasing demands. For example, you can easily get assistance from one of the popular shipping carriers, or invest in an inventory management solution. One of the apparent advantages of self fulfillment is that you will be completely in control till the product reaches your customer. This gives you great scope in designing a customer experience that you wish for. However, it can be really time consuming and tough for a growing business. You might need to invest in more storage space, packaging solutions, etc., and you might need more manpower to handle all this. 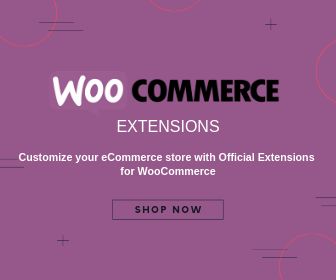 Fortunately, in the WooCommerce landscape, you will find a lot of solutions that will assist and help you automate various stages of the fulfillment process. Let’s take a look at some of these options in more detail. When you are maintaining a warehouse for your own products, there are a lot of things that you need to consider. These include finding a space that can accommodate your growing requirements, options to manage and update stock, etc. The physical demands like finding an appropriately sized warehouse in a preferred location is beyond the scope of this article. However, we will look into the second part of the challenge to find a good solution to integrate your inventory and your WooCommerce store. With the help of this plugin, you can link your WooCommerce store with the warehouse inventory. It helps you to create product labels with unique QR code from the WooCommerce admin. And you can scan these products using your mobile phone, as the plugin comes integrated with a QR code scanner. Overall, this plugin makes it really easy to manage inventory, generate custom labels and print reports. You will also get good reporting features with this plugin. You can easily link the inventory to your WooCommerce store and generate product labels using Scanventory. The single site subscription is available at a price of $129. The 5-site license would cost you $179, and the 25-site license $229. Skuvault is another warehouse management solution that you invest in. It offers a comprehensive solution to help you manage a lot of fulfillment woes. It offers a very detailed dashboard that offers a lot of information that will help you make decisions regarding your inventory. You will be able to see a product list, where you can see all the important aspects related to your products including the available quantity. And it makes it easy to integrate your store with other solutions that you may need for the fulfillment process. Skuvault integrates seamlessly with your WooCommerce store to offer a comprehensive solution to warehouse management. The workflow of Skuvault is quite simple so that anyone from your warehousing team can use it with minimal training. You can use the customizable solution to easily generate picklists as well. Picking items from your warehouse too will be quite simple as it creates the list in an order based on the location. Such a scenario is widely appreciated by existing Skuvault customers as it is a lot of convenience while picking items. The workflow is well designed to minimize human errors in the fulfillment process. In addition, the detailed reporting features help you improve the whole process for your store. The pricing plans start at $375 per month for small to medium sized businesses. TradeGecko is another highly popular inventory management solution that will help a lot to manage your inventory. You can manage all aspects of your inventory including stock updates and purchase orders with the help of this one. It is quite a handy tool, if you are listing your products in multiple sales channels. You might find a few good tips for WooCommerce multichannel retail in our other article. It also comes with integrated accounting systems like Xero and Quickbooks. This is one of the best inventory management solutions available for WooCommerce at the moment. When you do order fulfillment on your own, you need to generate and print multiple shipping documents as well. Many of these documents are essential to understand what items are there in a package, the price of each items etc. Also, you need to send an invoice copy to your customers. By default, WooCommerce doesn’t provide an option to print these documents. Here are a few solutions that you can try out to print shipping documents. 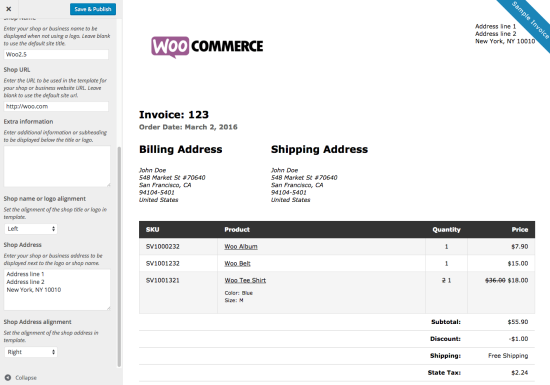 With the help of this extension, you can conveniently print shipping documents from your WooCommerce admin page. You can generate and print packing lists, pick lists and invoices like this. Your customers will also be able to view their invoices from their account information page. While generating pick lists, this extension sorts the items by product category, and this essentially makes your fulfillment process much faster. 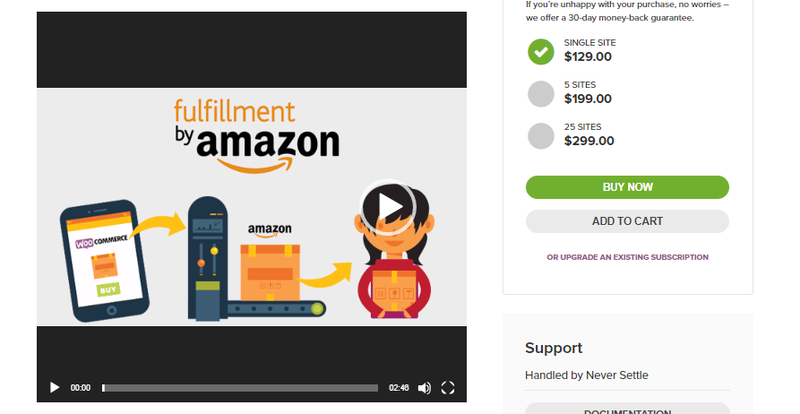 The single site subscription of this extension is priced at $49. Printing packing lists, pick lists and invoices will be a breeze when you are using this extension. If you are looking for a lot of customization options for your shipping documents, this one might help you a lot. It also helps you send automatic emails to customers in PDF format. This plugin is a comprehensive solution to print multiple documents essential to your WooCommerce store including PDF invoices. 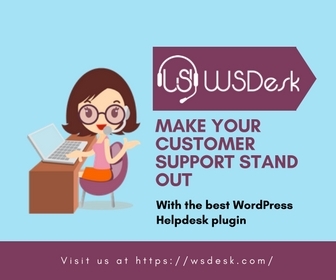 If you are looking for a solution that would help you with the available stock at any given moment, this plugin can be quite useful. It helps you provide a great overview of stock status for all your products. In addition, if you want to take a printout of the stock report, it facilitates for that too. Now, one of the most crucial part in the WooCommerce order fulfillment process is shipping. You need to rely on external shipping carriers in most of the cases. 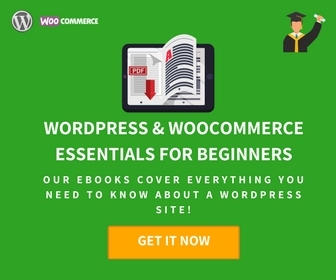 In the WooCommerce ecosystem, you will find plenty of options that would help you in this process. Let’s take a look at a few options. With the help of this plugin, you can completely automate the USPS shipping process for your store. You can display live shipping rates on your cart and checkout pages, print labels, pack items, and enable tracking. It offers live rates for a variety of domestic and international shipping services of USPS. In addition, you can automatically pay postage and print shipping labels in GIF/PDF/JPG format. Also, you can send tracking information to customers via the order completion mail. The plugin also helps you with box packing. A single site license of this plugin would cost you $69. If you are a USPS e-VS customer, you can use this plugin for your USPS shipping integration. You can enable USPS price calculators for domestic, international and flat rate services with the help of this plugin. The plugin allows you to choose rate display options as well; either the cheapest rate or all available rates. This plugin helps you display USPS shipping rates and automatically print shipping labels (if you are an e-VS customer). It also helps to send tracking data to customers and helps with box packing. If you want to know more about the advantages of choosing USPS as your shipping solution, you will find a lot of information here. Another inevitable scenario that you need to deal with when you are doing self fulfillment is when customers return a product. The shipping plugins discussed above will help you create a return label as well. However, you might need some solution to make the whole process easier for your customers as well. The following option will help you in this scenario. With the help of this plugin, your customers can request for returns as well as avail warranty for your products. Customers can do this from their account page. You will be able to view all such requests on a single location. In fact, you can set warranty periods and expiration limits for each of your products. The whole process will become automated with the help of this plugin. It also automates all communication that you have related to a return request of a customer. Furthermore, you can request additional information from customers to approve a return request, such as images showing defect in products. This plugin makes it easy for your customers to request a return for a product purchased from your store. You can also set warranty periods with the help of this one. This plugin will help you send notifications to the dropshipper, whenever you receive an order on your store. In case you have multiple suppliers, this plugin sorts items in an order and send notifications appropriately. It also helps to print a PDF packing list, which you can send to the dropshipper to be included in the shipment. And, you will find an option to import the inventory of your supplier to your store via a CSV file. The price of a single site subscription of this plugin is $49. Customers will purchase products from your site, and Amazon will do the fulfillment in this case. It integrates your WooCommerce store with Amazon, and they will ship the products on behalf of you. Overall, this will be a boost for customer experience on your site as they can avail the superior fulfillment service of Amazon. You can sync the inventory status with your store and be always alert on top of replenishment needs. It also helps you partially offer this service, as only some of your products will be fulfilled by Amazon. The other products in the order you can manage on your own. Fulfillment by Amazon can be a great way to improve customer experience on your store. Your WooCommerce order fulfillment process can be a complicated process. However, you will find a range of solutions to assist you at different stages. Hope this article has given an overview into the complicated process, and familiarized you with some great solutions. 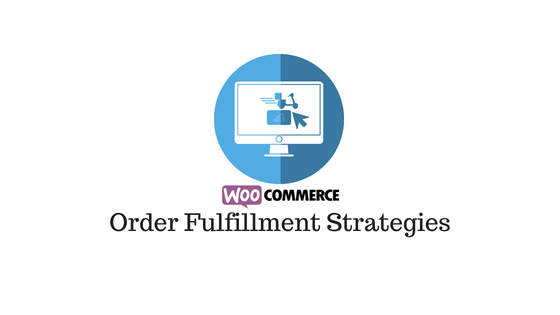 Share with us how you manage your fulfillment process on your WooCommerce store.